A lawyer came to Jesus (Yeshua) and asked him a question – to “test” him. It’s one of those verses in the Bible that makes me think the Good Book really is inspired, like Mama said. The lawyer came and asked a question to test? Well, of course he did. That’s what lawyers do. I came from a “lawyering” family in Louisiana – my brother Max became a practicing lawyer, but he was born a lawyer. He asked questions. He tested everyone, especially me, the baby sister. He already knew all potential answers and it was impossible to outguess him and get ahead of the game. Max could have been a world class chess player if the chess pieces had been real, living, breathing people. This lawyer who came to Jesus was good. His father was almost certainly seriously orthodox. And his grandfather. This lawyer was Jewish. He was Jerusalem trained. Law ran in his blood. He had memorized The Law and all the commentaries up to that point in history. Why did he ask Yeshua this legal question, “What is the greatest commandment?” Because that’s what lawyers do. Yeshua, an Advocate Lawyer himself, knew the answer. The words rolled off his tongue, “You shall love Yahweh your God with all your heart, with all your soul and with all your might.” However, he went further than the question called for, usually a no-no on the witness stand. “This is the first and greatest command. And the second is like it; ‘You shall love your neighbor as yourself.’ On these two commandments hangs all the Law and Prophets.’” Later the Apostle John summarized these requirements, “God IS love, and he who abides in love abides in God and God in him…not that we loved God, but that He loved us and sent his Son as propitiation for our sins. Brothers, if God so loved us, we also ought to love one another.” So the whole law is summarized: Love God and your neighbor. Putting aside the need of a lifetime to study this passage, we will look at the three ways to love God – heart, soul and might. We’ll examine the letters in each word. (for info on the letters of the Hebrew alphabet, check out the book Hebrew for the Goyim). Lamed (לֹ), the first letter in lev (heart) is a line, pointing in the direction of something – in this case to bet (ב). Lamed refers to either (1) a real line, (2) an abstract, symbolic line, or (3) a spiritual, conceptual line. Like a shepherds crook, which is this letter’s original source, lamed on the one hand has to do with lessons, labor, laws and learning, suggesting that this process of loving God with the heart is ongoing. One never arrives. It speaks of continually expanding, letting love occupy more and more of my inward spaces. On the other hand, the shepherd’s staff has a crook to draw back a wandering sheep from going off the deep end, resulting in wounds or being “so spiritually minded he is of no earthly good.” So it is with loving God. The process never ends. There is ongoing need for humility, openness and honest but fearless checkups. Together, these two directions guide a love life held in balance by God and His Word. 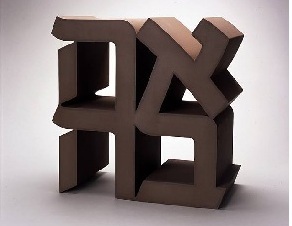 Bet (ב), the next letter in the word “heart,” is one’s house, the enclosure where one lives, one’s inner being. It resembles a cave, the first “home” of humans. Bet in fact is the word for home (בית ,beit) and even refers to one’s wife, the “house” where the children and family “reside.” So to love God with levav is to love God where you live, in the interior being, from inward motivation, in the very core of one’s dwelling space. It’s not faux. It’s not pretend. It’s like in a booklet I read once, My heart, Messiah’s Home.” It asks the question, “Are there any rooms in your house where God is not welcome? 1. Nun(נ-noon) is the letter beginning the word nefesh and breath. It refers to individual existence, and specifically means we are passive – we receive the breathe God breathes into us. Continually. 2. Peh (פ-pay) is underlined above three times. Peh (פ) is the letter & word in mouth and nostrils. 3. Shin (ש-sheen) stands for “fire,”, or flames, & the transformation or change fire makes. The word sun (שמש) has two shins. Fire is esh (אש). “Yahweh is a consuming fire (esh).” God’s breathe is living fire, producing a soul. If God stopped breathing, we not only couldn’t love God, we wouldn’t be alive.